Two female members of the National Youth Service Corps, NYSC, serving in Ebonyi state have become the latest victims of the pants for ritual practice presently ravaging the country. The two corps member, it was gathered, were reportedly forced by unidentified hoodlums to remove their clothes including their pants and hand them over the guys. 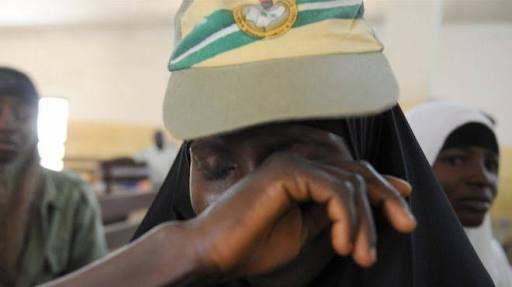 Strangely, one of the corps members, who was on her period also had her blood socked pants and sanitary pads taken away by the hoodlums. “He told them that he wanted to ease himself. He immediately went to the back door, opened the door and pointed a gun at them; ordering them to come down and give them all their cloths including their pants." “We also learnt that when they meet women who are not wearing pants, they give them pants and force them to wear them for about five minutes before taking them away from their victims,” Odah said.